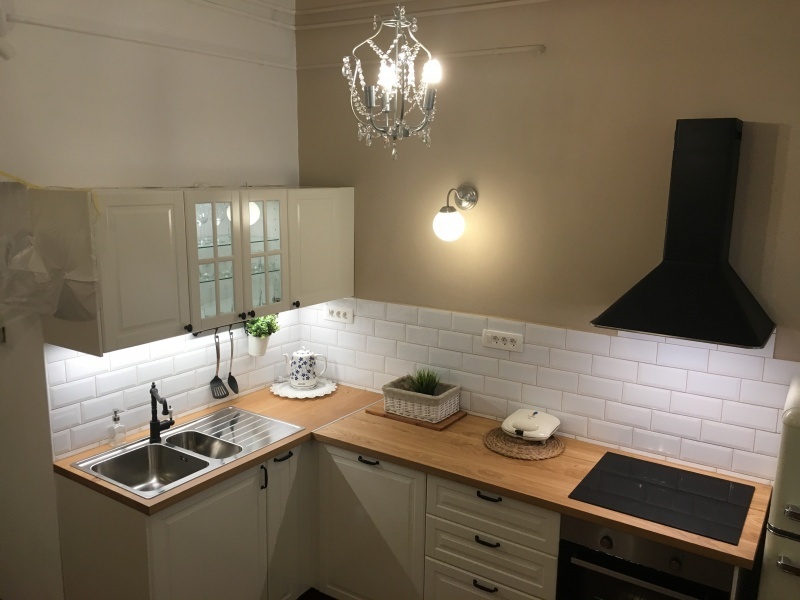 Ana OLD TOWN CENTER apartment in the heart of old town! Location could not be better! All city sights in walking distance! 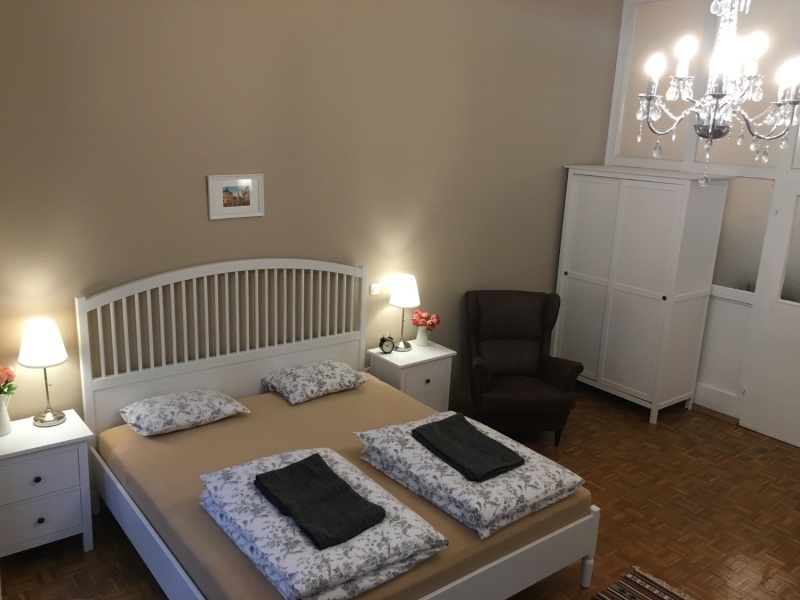 Ana, Romeo, Julija and Filip OLD TOWN CENTER Apartments are in the same house located just below Ljubljana Castle in the pedestrian zone and offer an excellent vantage point to see the city sights! 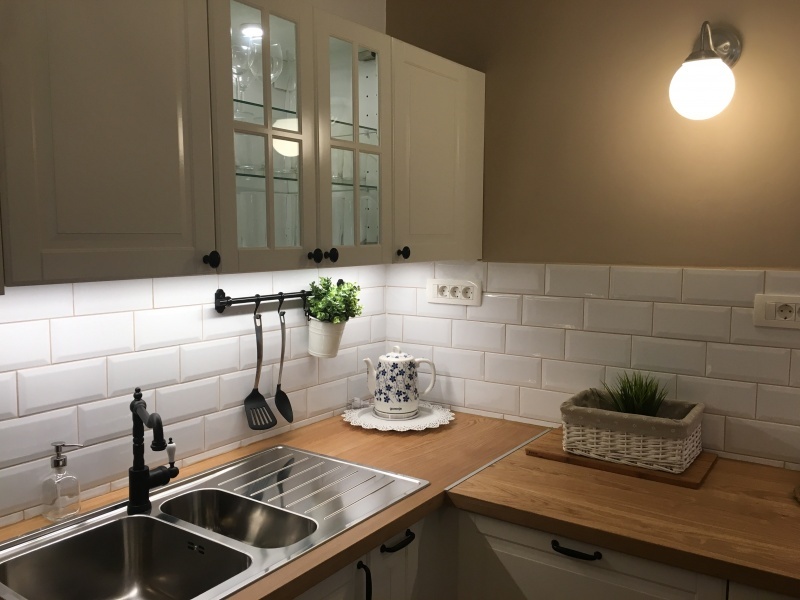 Ana OLD TOWN CENTER apartment is one bedroom and spacious apartment for 5 guests! Our four apartments can accommodate up to 25 guests, perfect for big group or family members! 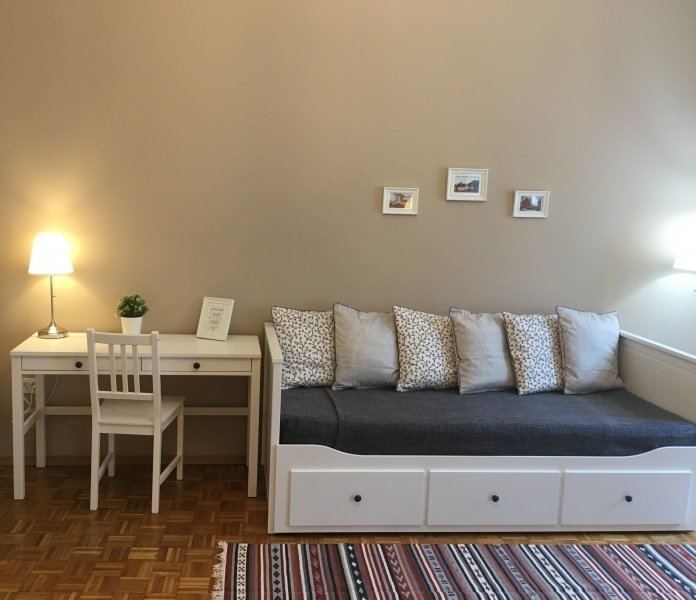 Ana OLD TOWN center Apartment is located in the same house as our three: Romeo, Julija and Filip Apartments, just below Ljubljana Castle in the pedestrian zone and offers an excellent vantage point to see the town's sights. Prešeren Square, the Triple Bridge, the Dragon Bridge, open market,... Everything is within a walking distance from the apartment! Behind our house, there is a narrow path leading to Ljubljana Castle. Right below us you can visit various traditional and modern cafés and restaurants. 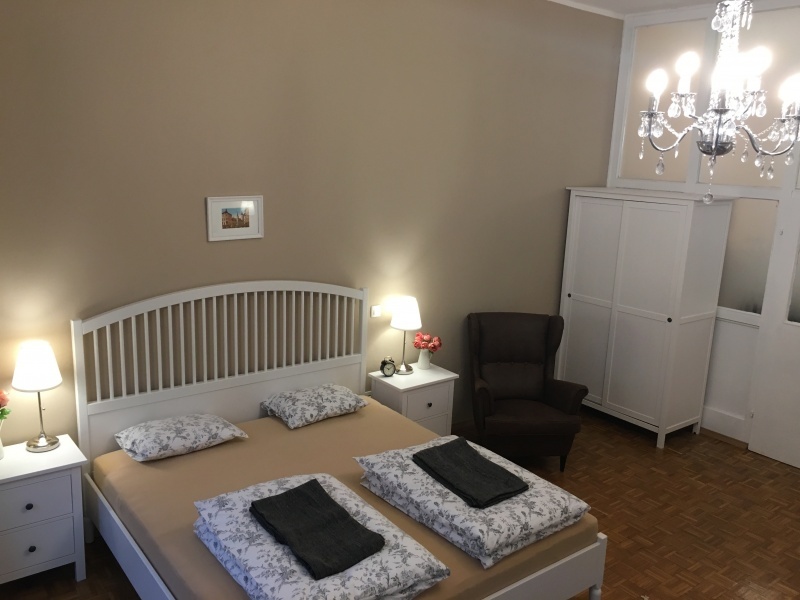 Perfect stay in Ljubljana! Ana OLD TOWN CENTER apartment is spacious apartment with one bedroom and can accommodate up to 5 guests. There is air conditioning in apartment. It has full equipped kitchen with dishwasher. In bathroom is washing machine. Wireless internet is free of charge.. 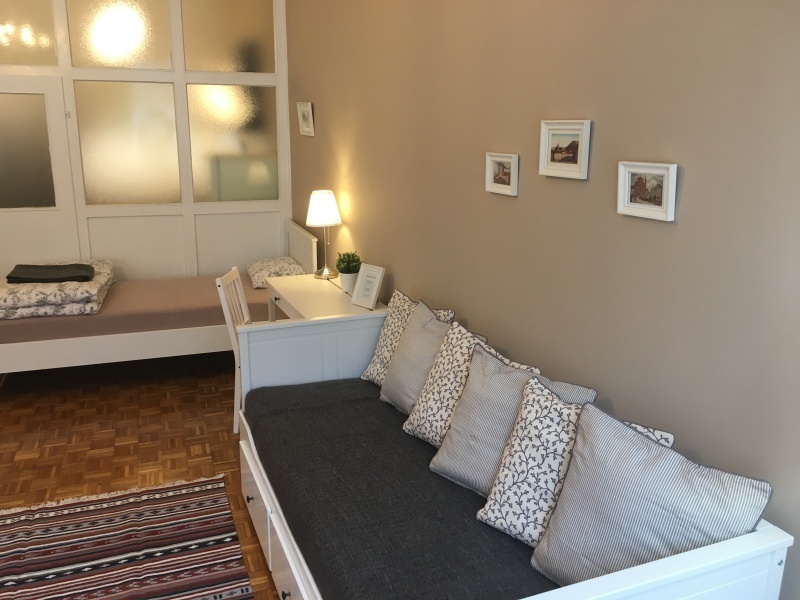 The apartment (55 m2) has one big bedroom with a double bed (180x200 cm), 1 single bed (90 x 200 cm) and sofa bed for 2 guests ( 160 x 200 cm) It offers more than enough space for 5 persons. WiFi is free. Bed linen, towels and shampoo are included! We offer transportation from/to the Ljubljana Airport. As we have the permission to park in the pedestrian zone, only we can drive you directly to the apartment! You can park in the public car park NUK near the Outdoor theatre Križanke. The car park is between Emonska cesta Street and Zoisova cesta Street. It will then take you 6 minute on foot to get to our house. The price for overnight parking from 7:00 p.m. to 7:00 a.m. is €1.8 and the price for one hour during the day is €1.2. If you want for 2 minutes you can stop (not park!) on Levstikov Square ( 50 m from apartment) and drop out luggage with friends and children, driver than should go to park across the bridge on NUK parking (6 min walk to apartment). We offer bicycle tours around Ljubljana with electric bikes. You can park in the public car park NUK near the Outdoor theatre Križanke. The car park is between Emonska cesta Street and Zoisova cesta Street. It will then take you 6 minute on foot to get to our house. The price for overnight parking from 7:00 p.m. to 7:00 a.m. is €1.8 and the price for one hour during the day is €1.2. If you want for 2 minutes you can stop (not park!) 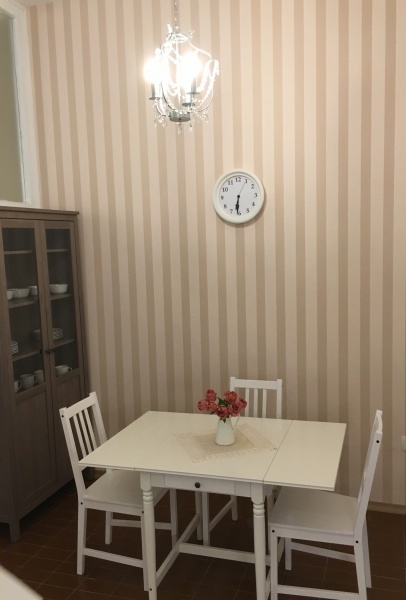 on Levstikov Square ( 50 m from apartment) and drop out luggage with friends and children, driver than should go to park across the bridge on NUK parking (6 min walk to apartment) (Website hidden by Airbnb) From main TRAIN/BUS station you should start walking on RESLJEVA street. (You will see the castle, just go below to pedestrian zone.) Walk around 6 minutes to the center old town, below the castle. Pass Ljubljanica river across the Dragon Bridge. Turn right and pass open market. You will reach Mestni Trg and after 5 min walk you will reach our address Stari Trg. Nr. 15 is our house. If you have heavy luggage or don’t want to walk from TRAIN/BUS station you can take a TAXI to Levstikov Square. 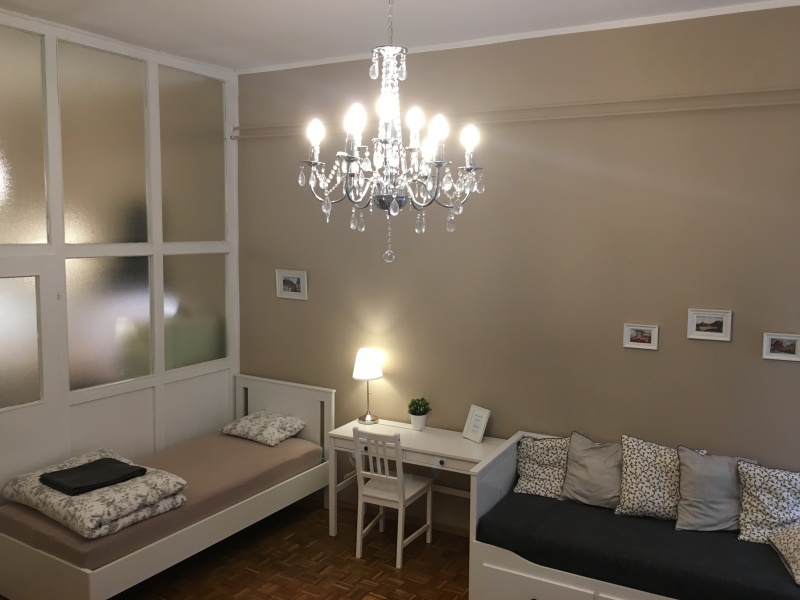 From Levstikov Square you have 1 min walk to our house on Stari Trg 15. House is in the pedestrian zone and location really couldn’t be better for exploring Ljubljana. For New Year minimum stay is 3 nights! Thank you for understanding! Marked days are already booked. Postojna Cave is the best-known cave in the world. Visit the Škocjan Caves, a place with only one season. Visit one of the most majestic lakes in Slovenia.